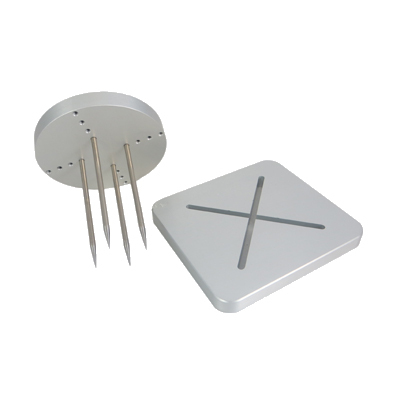 The TMS adaptable probe allow multi-point penetration testing with a level of customisation and adjustability. Four individual needles in the upper part of the fixture can be placed concentrically at 4 equi-spaced diameters. The lower fixture has slots, aligned to the location of the needles, allowing complete penetration. The fixture enables the measurement of overall puncture resistance characteristics, or the attributes of individual samples simultaneously. 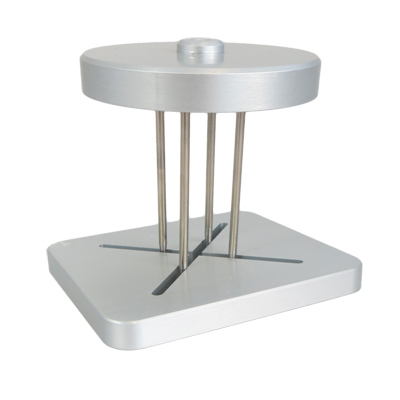 Set of 4 stainless steel rods fixed to an adjustable plate for individual alignment with corresponding base plate facilitating the penetration of samples with varying texture. Ideal for use with small gummy chews and other tablet shaped confectionary.